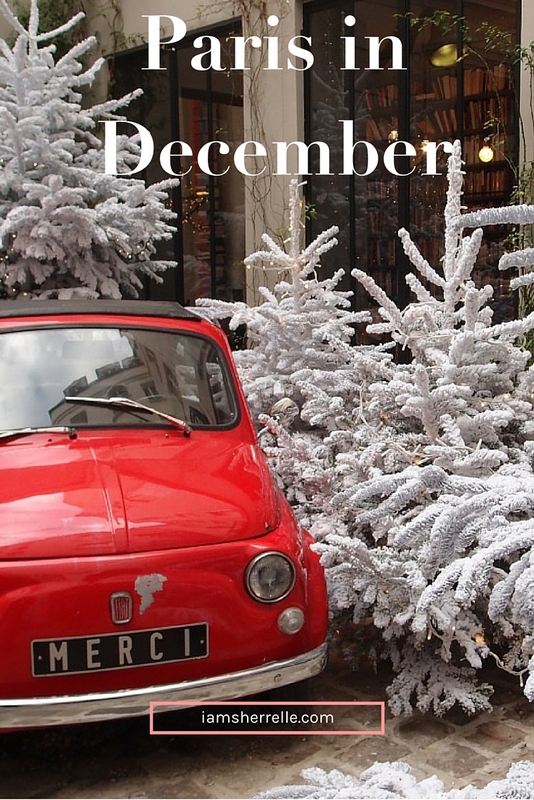 Paris in December – A Great Time To Visit! Paris in December? Isn’t Paris a spring and summer destination? Well yes it is, but I can now tell you that it is a great winter vacation as well. And even though my husband and I were in Paris for Le Web, a tech conference, many tourists visit Paris in December. While it wasn’t as crowded as it was during our summer visit, I was not alone during my visits to museums, churches and other Paris sites. Many Germans, Italians, Japanese and French people were on holiday in Paris (I didn’t see many Americans). Despite the cold, rainy weather that Paris has this time of year, it’s a beautiful place to visit in December because the entire city is decorated for Christmas. Big department stores have fantastic widow displays; Galeries Lafayette had a “rock and roll Christmas” theme this year and Printemps had a Karl Lagerfeld theme. The holiday windows are best seen in this video that I shot with my iPhone. It’s quite an event to come view the windows; it was packed with both adults and children. But it’s not just the big department stores that are festive, tiny boutiques, restaurants, cafés, churches, squares and entire streets are all decorated for Christmas! I was giddy with joy every time I stepped outside our apartment door because I love Christmas decorations. The metro stop near our apartment was very festive as was the area surrounding Sacre Coeur. Best of all were the Christmas huts throughout the city selling gifts, sweets, food and my husband’s favorite, vin chaud (hot wine). The Champs-Elysées had blocks and blocks of huts. Christmas music was playing over the loud speakers – traditional songs we know, but in French. We strolled down the Champs during the day and came back at night to see the lights. It was very festive and I wished that my children were there; they would have loved it. So if you are thinking about visiting Paris in December, go! I promise that you will love it. 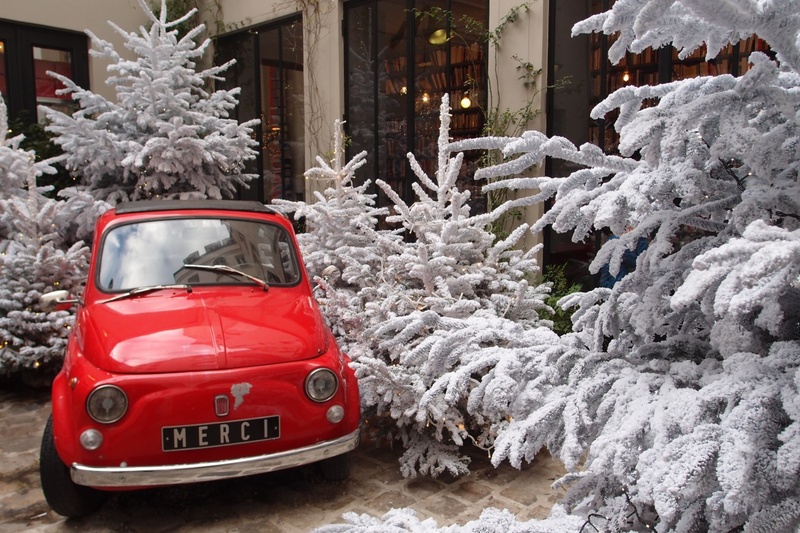 After all Paris is always a good idea – even in December. What an amazing, unforgettable experience for you and your mister. Beautiful takeaway photos, too. Enjoying seeing Paris through your eyes. Thanks for sharing your trip here!